Using state-of-the-art printing presses and streamlined production techniques, ​DFW Printing provides high-quality, full-color business card printing, Dallas and Fort Worth-wide. Those who need same day business cards or even one hour business cards in Dallas Texas need look no further - we've got you covered. 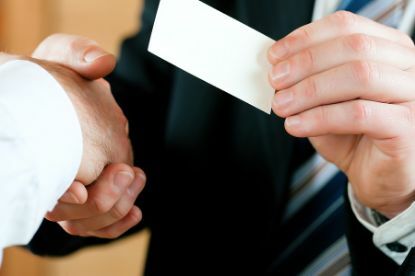 ​The look and feel of your business card makes a very important first impression on customers. We offer a range of premium business card papers (such as 14 pt. Gloss Coated, or perhaps High Gloss UV Coated), so you are certain to find the perfect paper for your business requirements. ​DFW Printing in Dallas, TX is an expert printer of custom business cards. Need help with design? How about with selecting the right paper stock? DFW Printing is your trusted business card supplier in the Dallas and Fort Worth areas. Getting your business cards printed with ​DFW Printing is very easy. First, upload your print-ready files. If you need help with the design, contact us for a free consultation. A representative will get a feel for your business card specifications, and then suggest an appropriate template as a starting point. Once the design is set, we will provide the customer a proof for the order. After approval of the proof (minor customizations are still possible at this point), the next step is to go to print. Finally, at the delivery phase, we are able to promptly deliver orders anywhere in the Dallas and Fort Worth areas. Superior quality business cards: we demand perfection, and fully guarantee every order. If your business cards are not 100% perfect, we’ll fix the issues without hesitation. Multiple finishing options: we print business cards with a variety of finishing options. For example, gloss produces a slick look that makes colors pop, while also protecting the ink from fading. On the other hand, a satin matte finish produces a smooth and elegant look that conveys a sense of sophistication. Fast delivery: rapid printing services (same-day or 24-hour turnaround) is available upon request. Delivery is anywhere within the outlying Dallas and Fort Worth areas. Deluxe Business Cards: higher quality stock makes these more visually striking and also more durable; choose from a wider variety of textures. Premium Thick Business Cards: sure to make an impression, these business cards are thicker than credit cards and give off a feeling of brute power. Upload your file, send email and specs and someone will be in touch to confirm. For immediate help call us at 214-977-7458 or send us an email. We serve the greater Dallas and Fort Worth areas and specialize in premium quality business cards that really pop. Where to find a business card maker near me? Delivery across the Metroplex: once your business cards are ready, our superior delivery service can get your cards delivered anywhere in the region: Collin County, Dallas County, Denton County, Ellis County and more! Now you know where to find a business card maker offering the best business cards in Dallas!